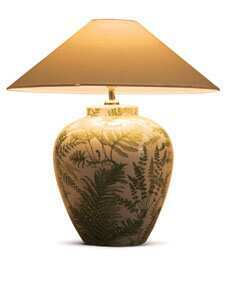 A lamp from French store Lancel. But the landlord had other ideas. “He gave us one hour to decide," Caroline laughs. Laurent and his mother were in Paris, his father was in Japan on a business trip and Caroline was heavily pregnant in New Delhi. After an hour-long conference, the family decided: Let’s go for it. But the fast decision making process didn’t end there. Laurent only had three days in August to visit New Delhi and plan the interiors of his family’s new home. With the help of Puru Das and Brian DeMuro—co-founders of Basix, a Gurgaon-based home design store—Laurent and his sister went on a mad planning and shopping spree. Laurent left his sister in charge of logistics and returned in November to the nearly completed home. The result of the mad dash is a light-filled modern bungalow with just a tinge of classic French design. “Laurent was very involved with the colours and knew what he wanted, so it was easier to do (this project)," says Das. “But it was still a lot of running around and Caroline was about to give birth. It was a bit mad." Caroline says Laurent and Das clicked right away and shared a similar design sensibility, so they quickly made their way through the design shops, choosing fabrics, furniture and accessories. “We walked into Seasons and Puru headed straight for the striped fabric. This is it. But then he would start having his doubts and Laurent would say, no, no, you were right," Caroline says. “We started with the layout," says Das, “and we started to go back and forth from there." The ground floor apartment is incredibly light-filled, with giant windows in each room. The first step was to remove all the mosquito screens from the windows. “It was just very dark," says Laurent. Plus, the apartment is surrounded by greenery. A park borders two sides, and a back alley with trees hangs over the small backyard. The brother and sister also decided to line the perimeter of the yard with evenly spaced potted palm trees. The wide open windows invite the outdoors inside. The palm tree motif continues into the bedrooms with white comforters with a simple palm tree pattern from Good Earth. “Our family loves palm trees," Caroline says. The parents’ bedroom and guest bedroom use straight lines and modern shapes, but the grandmother’s room retains a distinct flavour of France. Laurent matches Indian products, such as small tables from Country Collection, with dried flowers in a French vase. The room also has a Louis VIII chair and a daybed that doubles as a couch and a bed. Laurent’s grandmother’s paintings of Impressionistic flowers hang around the house, adding a softening touch to the straight modern lines. They did not plan the design based on the paintings, DeMuro says, but “they probably kept the paintings in mind at a subconscious level". The greens and reds match the colour palate Laurent liked: cream, maroon and green. “We started with the green," Laurent says, “and the maroon we chose together. Finally we put it everywhere." The large living room has a cluster of seating areas, but the dominant feature is a long maroon glass-lacquered dining room table. “It’s my favourite thing for sure." The table had to be able to fit the family and the sister’s family at one seating, a total of eight people. Plus, Laurent figures he’ll be entertaining often, people from all walks of life, and he wants them in a comfortable, welcoming, peaceful space. Though Laurent is a business student interested in starting a company in New Delhi, he also had to have space for his other passion, electronic music. With one CD out in France, he’s ready to pursue music in India, learning from the traditions here. A small side room will house his music studio. His mother will use the garden as her workspace for a book she plans to write. And Laurent’s grandmother will be using the garden for her sketches. “It’s a very cozy, comfortable space," says Puru. Laurent says they think the family made the right decision.